Founded by George Smith at 64 Port Dundas Road, Glasgow, they advertised themselves as 'Art Metal Workers, Iron Founders and Sanitary Engineers', and 'Artistic Iron Founders', and displayed their wares at their show yard in Bothwell Street. By 1863, the firm had expanded to include offices in London's Strand and Dublin's Mountjoy Square, with its agents Thomas Begg based at 37 Southampton Street, Strand, and Thomas F, Horgan based at 5 Greenville Street, Dublin. In subsequent years the firm was to expand further, with offices in Newcastle (at W.H. Walker & Co's Percy Iron Works), Liverpool, Manchester and Birmingham. Also known as the Sun Foundry, they rivalled Macfarlane's and McDowall Steven & Co in their production of ornamental ironwork for buildings, drinking fountains and bandstands. A rare survivor of their canopied drinking fountains in Glasgow stands outside the gates of Alexandra Park, on Alexandra Parade, complete with a cherub atop its central fountain (c. 1900, restored 2000). Other examples are located in Monmouth (1893) and in Adelaide, Australia (c. 1875). The fountain is illustrated in the foundry's trade catalogue as Drinking Fountain No. 3, with the cherub identified as pattern number 8: Boy With Paddle And Urn. In 1872, the foundry contributed four of its cherubs to the magnificent Stewart Memorial Fountain in Kelvingrove Park, which had been designed by James Sellars and sculpted by John Mossman , and where they sat above the four granite drinking fountains around the outer basin until 1939. Sellars was one of several Glasgow architects who produced the designs for many of the ornamental castings produced by the foundry and its competitors. Another architect who produced designs for Glasgow's foundries was Alexander 'Greek' Thomson , and it was partly in recognition of this that George Smith contributed to the fund for the marble bust of Thomson sculpted by John Mossman in 1877, which is now on display in Kelvingrove Art Gallery. Smith's donation was for �1.1/-. In 1888, the foundry won the tender to supply the garden seats for the Kelvingrove International Exhibition. 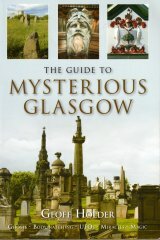 As well as ornamental and utilitarian castings, the firm produced elaborate Gothic monuments for the Necropolis and Glasgow's other Victorian cemeteries. These include the large-scale Forrest Monument, Sighthill Cemetery, of which only its iron urn now remains (c. 1875, dem. c. 2001), and the Alexander MacKenzie Monument, Necropolis, which is now in a ruinous state (1875). They also provided the decorated door to the Charles Clark McKirdy Mausoleum in the Necropolis (1891). Many of the firm's small-scale, iron 'headstones', some of which survive in Glasgow's Southern Necropolis and Sighthill Cemetery, are now rusting badly and have since lost their stone inscription panels, which were originally supplied by J & G Mossman . Amongst the Sun Foundry's finest, and most elaborate, public works is the huge ornamental Fountain in Fountain Gardens, Paisley, complete with walruses, cherubs and crocodiles, which was commissioned by the Paisley thread manufacturer Thomas Coats (1868). At present, this magnificent fountain is derelict and awaits restoration. A less well-known Paisley commission was for the Corinthian columns on the shopfronts and upper windows of the tenements at 8-10 Broomlands Street (1878). They also produced the Bridgeton Cross Shelter and Clock at Bridgeton Cross, Glasgow, known locally as the 'Bridgeton Umbrella', together with a cherub topped drinking fountain (without canopy) which stood opposite the shelter's east side (1874); the canopied fountain (with cherub and lamp) at Portmahomack, Ross and Cromarty, which is inscribed in Gaelic and english (1877, attributed to Macfarlane); and the Ornamental Fountain in the High Street, Dumfries (1882). A major lost work was the colossal, multi-functional Gorbals Cross Drinking Fountain and Clock Tower, Glasgow, which featured four clock faces, four gas lamps, notice boards, barometers, thermometers and a weather vane and shields bearing the Glasgow Coat of Arms. (1878). This splendid landmark was demolished in 1932, and replaced by a pole with two clock faces, which has also since been removed. An almost exact copy of the clock tower, however, survives in Basseterre, St. Kitts, West Indies, as the Berkley Memorial (1883). Another of the foundry's works in Basseterre is an ornamental fountain with brightly painted figures, which is presently being restored by the island's St. Christopher Heritage Society. The Sun Foundry, like its competitors, advertised its architectural castings by liberally adorning the facade and roof of its headquarters with various examples of their mass produced drain pipes, ballustrades, window surrounds, roof ridges and finials. The building itself was French Renaissance in style and featured a central clock tower which terminated in an elaborate turret and cupola emblazoned with the firm and foundry's name in metal letters. A later owner of the firm, Gibson C. Smith, who joined the firm in 1875, built the Baronial-style Craigmount, Cleveden Road, for himself and his family in 1882. George Smith, the firm's founder, lived at several addresses in Glasgow throughout his career, including 32 Grove Street, 1858, 76 Canonbury Terrace in Hill Street, Garnethill, 1861, 20 Lyndoch Street, 1875, 9 Park Circus, 1880, and later at Dean House, Lenzie, 1885. The firm had, by then, relocated to Parliamentary Road, c. 1875, and later opened a foundry in Clippens, near Linwood, in 1896, where they ceased trading in 1899. In recent years the foundry's castings have been resurrected and reproduced by the Glasgow based Heritage Engineering, which has restored several examples of the foundry's fountains throughout Great Britain. The team at glasgowsculpture.com are grateful to Andrea Silva of the St. Christopher Heritage Society, St. Kitts West Indies, for providing us with the images of the Berkley Memorial and the Sun Foundry Fountain in Basseterre, and for her permission to reproduce them. We are also grateful to Heritage Engineering for their permission to reproduce their archive images of the Gorbals Cross Clock Tower, and the Sun Foundry Headquarters. Elizabeth Beaton (1996) Ross and Cromarty An Illustrated Architectural Guide, p. 73.